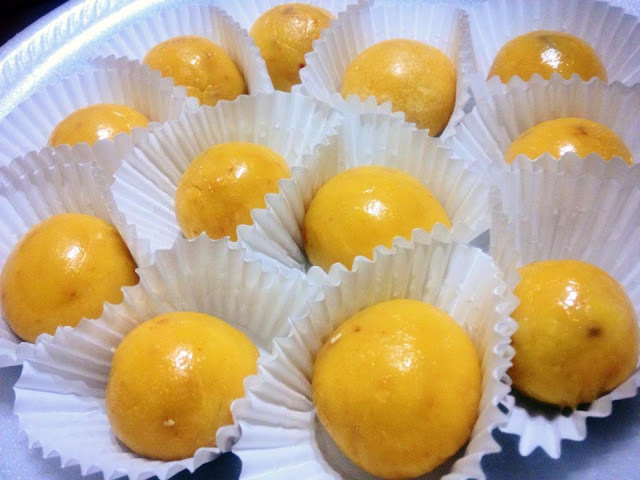 Here is a simple 3 ingredients on how to make a delicious Yema. Place butter in slow heat and melt. Add condensed milk and stir. Add whole egg yolks and stir till it thickens in slow heat. Grab a teaspoon full and roll to a ball shape and enjoy!